Hugh Grant, the British actor who finally succumbed to marriage after decades of deriding it, said he tied the knot for a good reason. “We’ve got three kids together, we live together, and I didn’t like the moment at immigration,” Grant said in an interview. Grant, 57, wed Swedish television producer Anna Eberstein, 39, with whom he has three children, at a low-key civil ceremony in London last month. “Immigration people would say, alright, all the Grants through here, and I’d go through with my children. And all the others through there. She’d go through with the nannies. It wasn’t right,” the “Love Actually” star said. Grant had often said he was not a believer in marriage. “I still think it’s a nonsense really and so does my wife by the way. But it just seemed like a nice cozy thing to do,” he added. 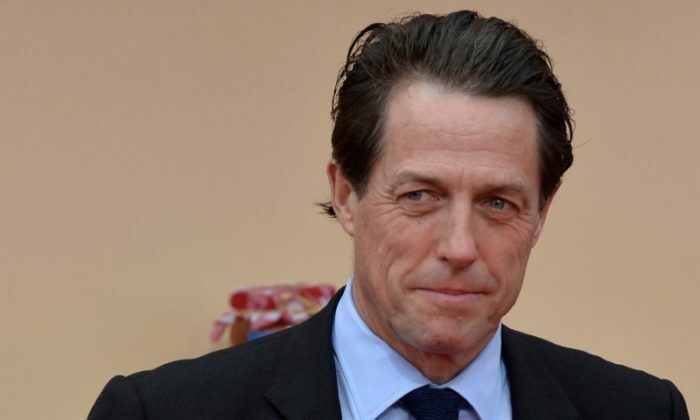 Grant, best known for playing a bumbling English man in romantic comedies like “Notting Hill” and “Four Weddings and a Funeral,” switches gears in his current project, “A Very English Scandal,” which premieres in the United States on Amazon on Friday. The actor plays the late British Liberal Party leader Jeremy Thorpe in the television mini-series which recounts the story of love, murder and politics behind Thorpe’s 1970s trial and acquittal on charges of conspiracy to murder.